Between your favorite wellness drink and now your can't-live-without skincare product, it's clear that fermented ingredients have transformative powers. 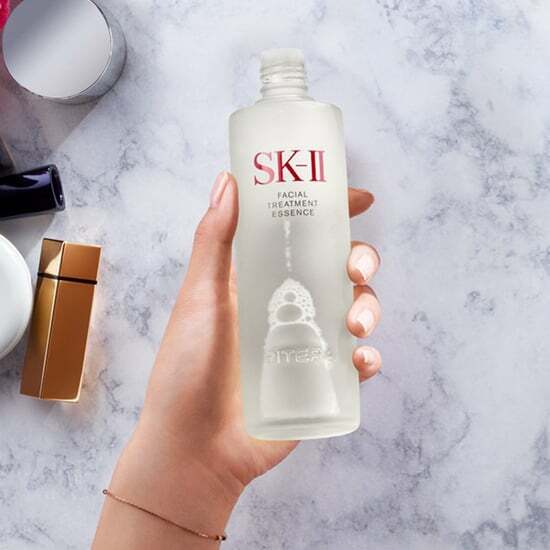 We've partnered with SK-II to show you why the unique fermented ingredient found in the PITERA™ Essence will give you your best skin yet. From honey to mushrooms to bakuchiol, we've seen quite a few interesting ingredients crop up in the skincare space this year. And now there's one more to add to the mix: fermented ingredients. Considering the kombucha craze of 2018, it hardly comes as a surprise that the natural preservation process is making the jump from wellness to beauty. After all, fermented ingredients can do so much more than transform your gut health from the inside out. They can also transform your skin health from the outside in. These days, you'll find both drink bottles and beauty product bottles boasting everything from fermented black tea to ginseng to kelp. But perhaps none of those are as truly transformative as the bioingredient of PITERA™, found in the bestselling SK-II PITERA™ Essence ($99). Derived from a natural fermentation process of yeast, this game-changing proprietary ingredient is packed with vitamins, amino acids, and minerals, and is beloved by celebrities, industry experts, and beauty enthusiasts alike for good reason: it works wonders. Ahead, we break down exactly what fermented ingredients are, what they can do for your skin, and why you'll want this holy grail essence and its miracle ingredient in your skincare arsenal for your best complexion yet. What Even Are Fermented Ingredients? First up, let's get some housekeeping out of the way. What's fermentation, you ask? It's the metabolic process of breaking down a natural substance into smaller molecules through the use of microorganisms, like yeast. During this conversion process, new compounds, including amino acids, antioxidants, nutrients, and minerals, are also released. Because it's a natural process, many consider it a healthy alternative to synthetic ingredients. And with an increasing push for all-natural everything in what we put into our body and what we put on it, it's no wonder fermented ingredients have become wildly popular. Okay, So Why Are They Beneficial For Your Skin? Now that you understand how fermented ingredients are created, let's dive into why they're so effective for your skin. Unlike nonfermented ingredients, which are often too large in molecular size, the smaller compounds in fermented ingredients are more easily absorbed by the skin, making them more potent. In addition, the resulting nutrients and minerals can offer a whole host of benefits for your skin once absorbed. That's where SK-II and PITERA™ come in. Originally discovered during the fermentation process for brewing Japanese sake, it took SK-II scientists over five years and 350 unique yeast strains to develop and perfect PITERA™. Derived from a six-step, strictly controlled natural fermentation process, PITERA™ is a clear liquid rich in amino acids, minerals, vitamins, and organic acids and makes up more than 90 percent of the formula for the PITERA™ Essence. The result is a highly concentrated — and highly effective — product. So effective, in fact, that the product and its formula have remain unchanged for over 38 years, collecting many awards and even more rave reviews along the way. And How Will It Transform Your Complexion? Part of the reason PITERA™ works so well is because the ingredient closely mimics your skin's natural moisturizing factors. The watery texture allows it to seamlessly and quickly penetrate the surface with well-affinity to skin to maintain its natural properties. 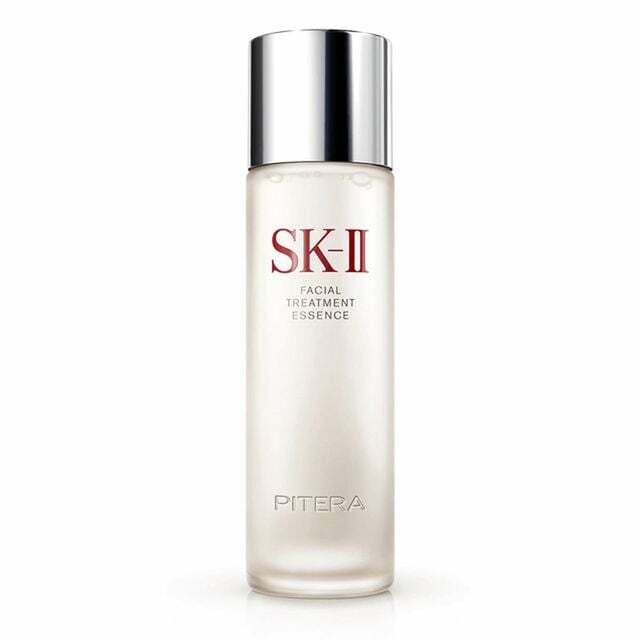 Once you pat a quarter-size amount of the essence onto your face using your hands or a cotton pad, PITERA™'s unique combination of over 50 micronutrients helps to improve and transform your skin, including boosting hydration, maintaining moisture, and strengthening your skin's barrier. After just one bottle, your complexion will be completely transformed. Hello brighter, softer, smoother, firmer skin, and goodbye dark spots, fine lines, and wrinkles! Now that's a miracle — and some cool science — we can get behind.